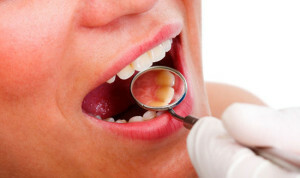 General dentistry is the most widely known area of dentistry. It encompasses the diagnosis and treatment, as well as prevention, of conditions and diseases related to teeth, gums, jaw and face. What are general dentists and what do they do? General dentists cater to patients of all ages. They are commonly referred to as family dentists as they are trained to care for the oral health of the elderly to even the youngest of the family. They are responsible for the management of your overall oral health, as well as coordinating with various specialists to further diagnose and treat your oral health needs. General dentists are also keen on preventing oral health issues, thus emphasizing on the care and maintenance of your teeth, gums, jaw, and face. You may notice that your dentist advises you to go back for routine checkup every 6 months to make sure any potential concern may be corrected before it actually becomes a problem. General dentists also do various restorative treatments, as well as cosmetic treatments. What education should a general dentist have? Aspiring general dentists should have attended at least four years of dental school on top of his undergraduate study (college degree). After graduating, he is required to take a licensure examination to make sure he is qualified to treat patients. But, education doesn’t end there! General dentists also participate in various seminars and lectures to make sure they are updated with the latest technology and methods of treatment. Just the spelling, really. DMD stands for Doctor of Dental Medicine, while DDS stands for Doctor of Dental Surgery. Dentists who have DMD or DDS titles undergo the same training and education. What title to give graduating students is just a universities’ prerogative and doesn’t mean any difference with the curriculum. This simply means that one university may award one title, while another university may award the other upon course completion. What treatments do general dentists do? Of course, your general dentist will first determine the best treatment for patients with special needs, who are elderly, young children, or adolescents. Should I consult a general dentist before going to a specialist? With a general dentist’s training and knowledge about a variety of treatments, it is definitely recommended to go to your general dentist before going to a specialist. This is because your general dentist may just be able to treat your oral health concern for a lesser cost; and you no longer have to go to a specialist for treatment. However, if your general dentist in Maroubra deems that your case is more complicated, he will refer you to a specialist or work alongside him to address your oral health concern.